If you need to clearly label section sof your racking systems then these L shaped aisle markers provide the perfect solution. With a simple self adhesive or even easier magnetic fixing you can place these signs exactly where you need them. 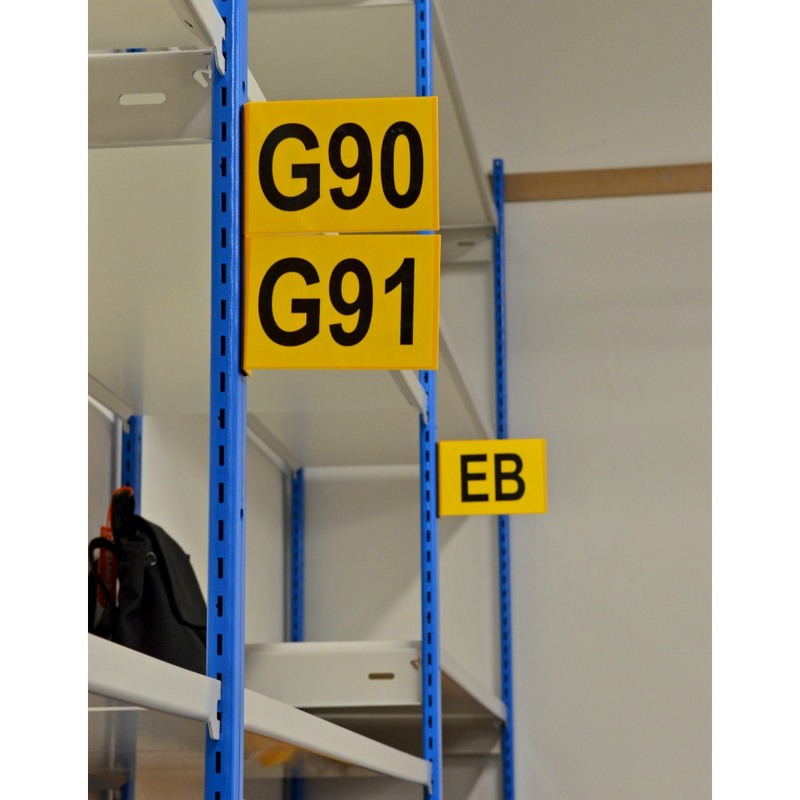 The bright yellow background with up to 3 bold black letters/numbers make for a very clear marker that you can easily see from across the stockroom or warehouse. Price shown is for one sign only, please ask us for a quote if you need a large quantity of these signs.